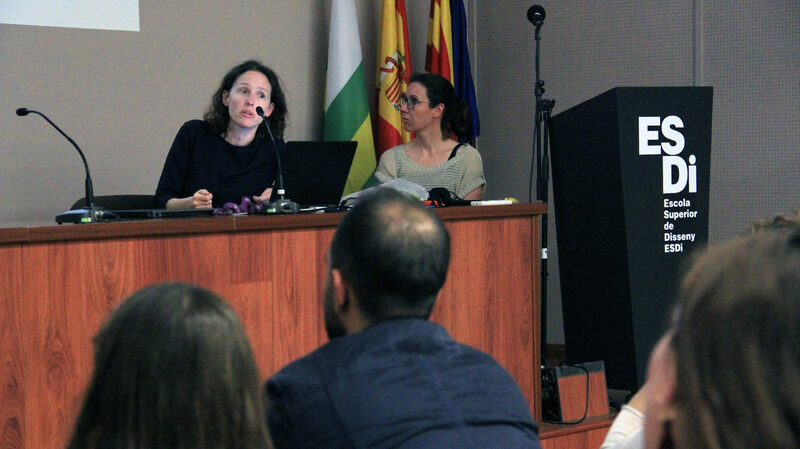 The Technological Center of Catalonia EURECAT, an innovation entity linked to local companies and start-ups, visited ESDi with a special conference in which it shared collaboration proposals with students and presented a wide range of projects in order to explore the potential of Smart Design. Led by Xavier Plantà, director of the Area of ​​Industrial Technologies of EURECAT, Rosa Rodríguez, director of eTextiles of the Functional Tissue Unit, and Irene Rafols, director of the Product Development Unit, the conference offered the students several strategies in order to face new risks in the field of innovation, from co-creation with the user to concept tests, simulation and prototypes. Through examples of projects linked to textile and product design, Rafols complemented with the different utilities allowed by intelligent components and materials, as well as the need for synergies among the designers, engineers and electronics that should materialize the initiatives. Rodríguez, meanwhile, spoke of the different fabrics and materials that allow functionalities related to lighting, chromatic changes, thermal regulation and more, with application not only in the field of fashion, but also in product, interiors, architecture and even medical instruments. Finally, Plantà was in charge of illustrating the possibilities that 3D printing displays, especially useful when it comes to conceptualizing products and generating prototypes, as well as making customized designs or objects in limited quantities, and incorporating methodologies that can revolutionize the way in which we think of design.